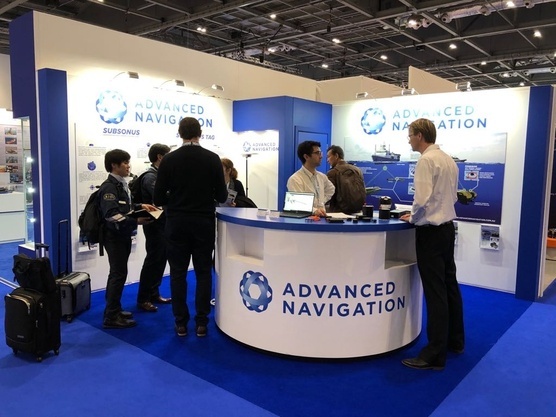 Once again, Excel London attracted many visitors from a variety of industries such as Defense, Oil & Gas, Maritime Security and Marine Science. IPP and Advanced Navigation succesfully attended the 47th edition of Oceanology. Besides showcasing our existing range of products, known for their high performance, low weight, small size and minimal power requirements, we released a new subsea acoustic positioning transponder: The Subsonus Tag. a low cost acoustic positioning transponder that operates with the Subsonus USBL. It was developed to provide a low cost, fully integrated positioning capability to users across a broad array of applications. Subsonus Tag features an integrated battery and a revolutionary acoustic processing architecture that allows it to operate for up to 18 months on one charge. We thank all our new and excisting customers for their interest!